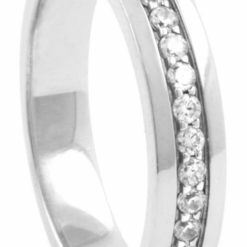 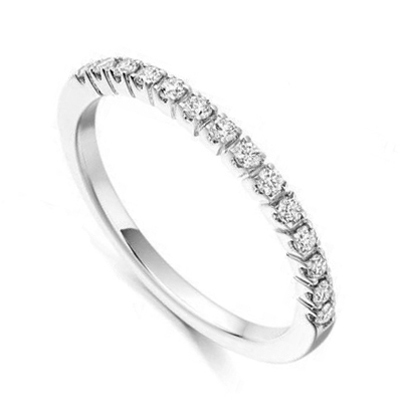 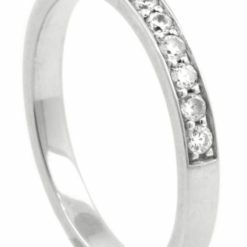 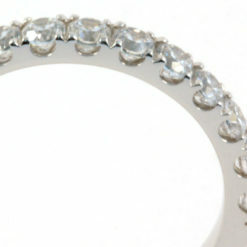 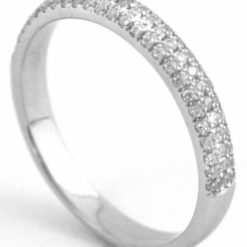 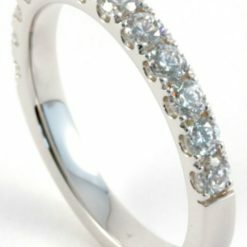 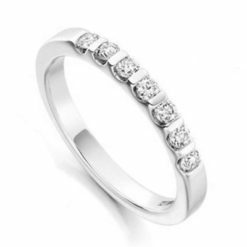 Stylish setting of 14 round brilliant H/Si diamonds in claw-set half eternity band. 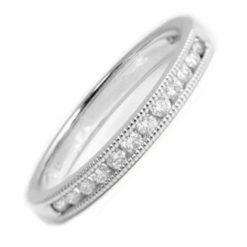 The stylized open-claw setting presents the 14 round brilliant diamonds for maximum sparkle. 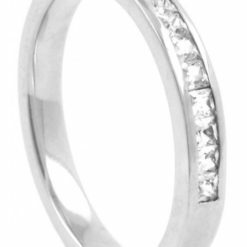 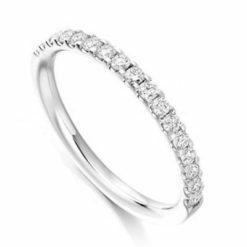 The H/Si quality stones are individually set in a four-claw setting that spans the width of the elegant 2mm band giving the ring a really high carat weight of 0.35ct and an overall dazzling display.